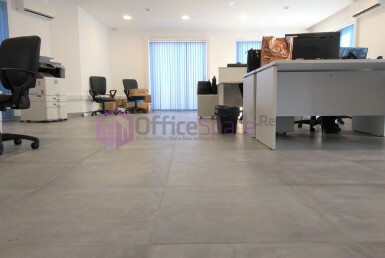 The Quad Business Towers Office Space Malta is centrally located in Mriehel. It a one of a kind development in a Central Business District and set on a site with a superficial area of 11,200 square meters. 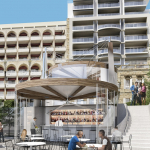 The Quad Business Towers is set to become a business address like no other in Malta. 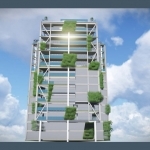 Most importantly the developers are targeting LEED Platinum certification. The development takes the form of four tower blocks of varying height ranging between 13 and 19 storeys. All this organised around a central piazza and resting above a commercial pediment. 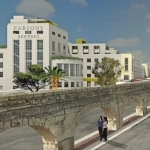 Set to deliver over 44,000m² of commercial floor space, this outstanding development will include a mix of Grade A office space and a range retail and amenity outlets. Ample parking facilities and spacious landscaped outdoor areas and piazzas. All this carefully crafted to offer an inclusive, top-quality business environment. The Quad Business Towers are being developed to deliver and extraordinary new center of business. This will set the standards of the work-space of tomorrow. The Quad Business Towers has been granted an SDA (Special Designated Area) status. Essentially allowing both EU and non-EU nationals the same acquisition rights as Maltese citizens, without AIP (Acquisition of Immovable Property) permit requirements. Intended as top-end developments and inclusive of a comprehensive facility and amenity offering, properties within SDAs are an immensely popular investment choice with both international and local investors. 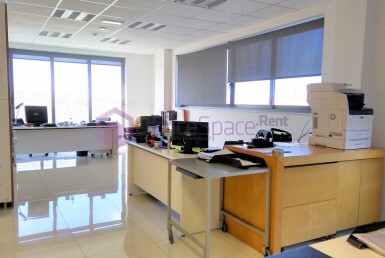 Clear Height – 2.65m to 2.75m – Finished floor level to suspended ceiling. – 500mm clear space for services above suspended ceiling. Structural glazing – Curved and straight curtain wall Facade includes LEED specified glass properties. Overall Thermal Coefficient U value – 1.28 W/sm. 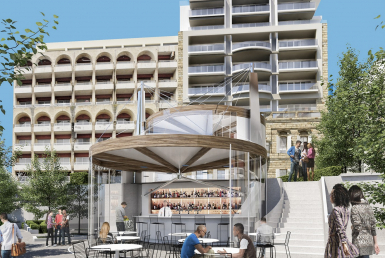 Terraces & service balconies – Lined with tension-ed stainless-steel cable wire railings or as per architect’s specifications. – Underside of balconies and terraces in Alucobond cladding or as per architect’s specifications. – All rainwater and waterproofing system completed. Structural Internal core walls and internal columns – Gypsum Plastered and finished in emulsion paint. Main door to the unit – Fire rated with 2-hour fire rating as per architect and fire consultant specifications. Internal doors in unit – Flush doors in kitchenette and toilets cluster. Flooring – Reinforced concrete Structural slab. – Raised flooring system (ceramic tiles) to be installed with skirting. – Demount-able Grid type (Class 0, 600mm x 600mm) throughout and bulk heads where required. 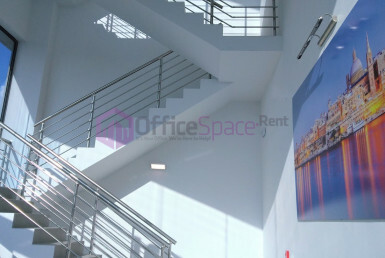 – The reception area and maximum 2 boardrooms per floor level will be gypsum flat ceiling. 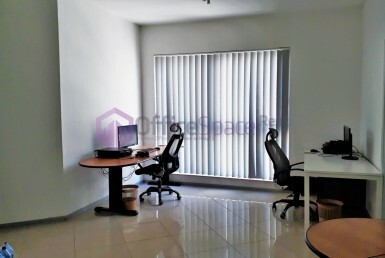 Based on a population of 1 person per 12m², provisions shall be made for a maximum of one 13A twin socket outlet per person based on an open plan office space. Lighting shall be based on an open plan layout and designed on the recommended average illuminances of 500 lux at desk level, on the horizontal working plane. Emergency lighting shall be provided with self-contained battery operated emergency lights based on an open plan layout. Provisions for receiving fibre optic supply to each office. Based on a population of 1 person per 12 m² in an open plan office, provisions shall be made for 1 grommet per 12m2, 1st Fix only for network outlet per workstation (2 points per person). AC system – A 3-pipe VRF system (providing simultaneous cooling and heating) shall be provided in line with the engineering consultant’s specifications for each office area. AC system for data room, if the Purchaser, at the Purchaser’s cost installs a data room – One indoor air-conditioning standby unit shall be installed in the data room. The standby air-conditioning unit will be connected to the uninterrupted power supply. Ventilation – Heat recovery ventilation system (through air to air heat exchanger units). The ventilation system shall have a capacity of 13 litres per second per person and allowance of 12m² per person. Potable Water System • Supplied from the main system. A water meter for each office will be installed and consumption charged as metered. Firefighting system – Automatic sprinkler fire suppression systems throughout the whole development. – All areas of the development, appropriately protected by firefighting equipment. Fire detection and alarm system. – Automatic Fire detection and alarm system throughout offices based on an open plan design. WC – Toilet cluster including one Male, one Female and one access for all toilet, will include all sanitary ware and will be mechanically ventilated. Kitchenette – Potable water supply and drains will be made available in the area.